With the Pittsburgh Steelers 2015 season over, Watch Tower focuses its light exclusively on deconstructing Bill Barnwell’s Steelers 2016 off season analysis. In the interests of transparency, this isn’t the first time the Watch Tower has dissected one of Barnwell’s columns. And in fairness to Mr. Barnwell, he was probably more right on the Steelers contracts for Troy Polamlau and Ike Taylor that we cared to admit back then. Barnwell recently focused on the Steelers 2016 season on ESPN in a 2,645 word ambivalent analysis piece. This isn’t the most successful run of the storied franchise’s history, with the controversial wild-card win over the Bengals serving as their first playoff victory since beating a Mark Sanchez-led Jets team in the 2010 AFC Championship Game. But they’ve consistently been in the swing of things in the AFC. Barnwell feels compelled to balance his concession to the Steelers constant relevance in the AFC playoff picture by devaluing the validity of the Steelers most recent playoff victories and that sets the tone for his entire analysis. Yes, his task is to provide a sort of “Pro’s and Con’s” piece on Pittsburgh’s future prospects, but he almost reads like he’s channeling his internal Bob Smizik. Bill Barnwell praises the Steelers for what everyone else is praising them for: Exceeding expectations via more sacks and turnovers on defense and exploding on offense in spite of injuries to Le’Veon Bell, Antonio Brown, Ben Roethlisberger and Martavis Bryant. In doing so he cites any number of advanced saber metrics to document the Steelers offensive performance, and raises and important point – at least statistically – about the difficulty of sustaining the increase in turnovers. There’s really not much to quibble about in Barnwell’s analysis of Steelers potential upside. One might argue that the Steelers improvement in turnovers is due to something systemic, but Barnwell’s numbers are solid. The only real issue with Barnwell’s assessment of the Steelers upside, as that he seems to forget his own points when he examines the Steelers potential downside…. The problem is that the Steelers have struggled to surround that young talent with the sort of solid depth that would raise Pittsburgh’s ceiling to that of a perennial Super Bowl contender. This year, with injuries up on the offensive side of the ball, Pittsburgh’s inability to plug holes because of cap concerns became a bigger issue. Despite having one of the league’s most injury-prone quarterbacks in Roethlisberger, the Steelers had to save money on backups and paid Bruce Gradkowski and Michael Vick a combined $2.4 million, far less than even the Chase Daniels of the world get by themselves. They lacked badly-needed offensive line depth and were out of luck once Pouncey and left tackle Kelvin Beachum went down with season-ending injuries, leaving Pittsburgh with journeyman Cody Wallace and fascinating project Alejandro Villanueva in key roles for most of the season. Where to begin….? First, the Steelers policy of keeping three quarterbacks and depending on experienced, veteran backups increasingly goes what most teams in the league do. Second, one of the reasons why the 2015 Steelers were so resilient was preciecely because Cody Wallace and Alejandro Villanueva proved to be such cost-effective backups. Yes, Roethlisberger did have to leave three games with injuries in 2015. But he only missed a handful of snaps in 2014 and did not miss an entire snap in 2013. Ben Roethlisberger has taken much more punishment than most of his peers – and he be one player who “gets old fast” but toughness, not fragility has been Ben’s hallmark. Barnwell devotes the last 1/3 of his critique of the Steelers to salary cap issues. The Watch Tower does not pretend to be a closet capologist, but Steel City Insider’s Ian Whetstone has looked at the Steelers situation and come to different conclusions. But if we accept that Barnwell perhaps has a point about the Steelers and Lawrence Timmon’s contract, he still appears to contradict himself. No fewer than six starters are hitting unrestricted free agency this offseason, and Pittsburgh can’t afford to lose them all. That includes three members of that secondary in Blake, Gay and Will Allen; they aren’t exactly stars by any means, but the only players in line to replace them are Cortez Allen and rookie second-rounder Senquez Golson, who combined to play one game in 2015 thanks to injuries. Barnwell is right about the Steelers not being able to rely on Golson and Allen, but he undercuts his own consistency by critiquing the Steelers for relying on Blake and Will Allen and then turning around and critiquing them for being in danger of losing them. They can save $4 million by cutting Heath Miller, $1.8 million by releasing Shaun Suisham and $4.4 million by designating Cortez Allen as a post-June 1 release. That also leaves them without starters at three positions. OK. First, Heath Miller is not going anywhere, 4 million dollar contract or not, but that misses the point. Shaun Suisham missed the entire 2015 season and Cortez Allen missed all but a handful of plays. Chris Boswell may very well have cost Suisham his roster spot, and Cortez Allen has not been considered a starter since mid 2014. None of this is to say that Barnwell doesn’t make legitimate points. While the Steelers are no longer in salary cap purgatory, they still have a lot less room to maneuver than many of their competitors. Few people , including Barnwell himself, mentioned it, but few would doubt that keeping Brice McCain would have helped the Steelers secondary. The Steelers could lose Ramon Foster, Darrius Heyward-Bey or even William Gay in similar fashion this off season. So it would be incorrect and unfair to write Barnwell off as a “knee-jerk naysayer.” But it also seems like Barnwell’s Steelers 2016 off season analysis suffers from a lack of objectivity on some level. The Pittsburgh Steelers 2015 season ended in Denver on Sunday, and on Monday the team went about beginning its preparations for 2016. 10 players signed Steelers futures contracts (or more precisely “signed futures contracts with the Steelers), with fullback Roosevelt Nix and offensive lineman Chris Hubbard leading the way. Roosevelt Nix played defensive line in college, but Kevin Colbert and Steelers running backs coach James Saxon saw him in the offensive backfield. 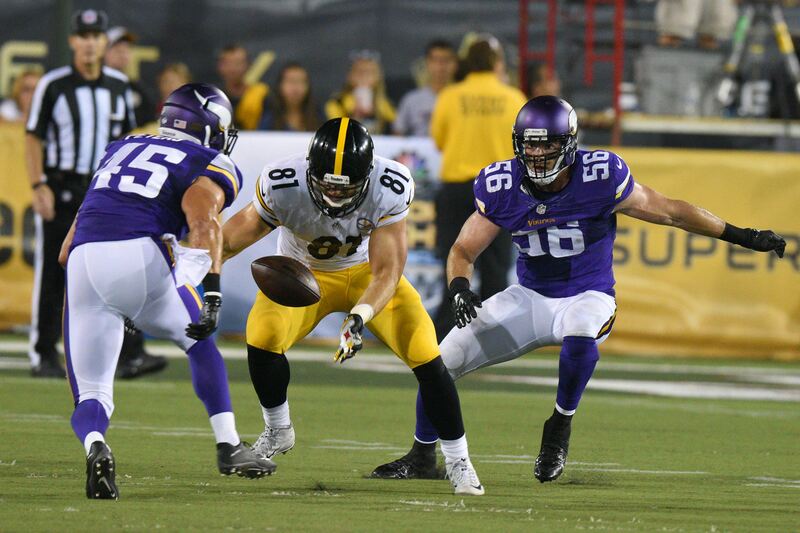 Nix made the transition to fullback during the Steelers 50th training camp at Saint Vincents in Latrobe and confounded critics by earning a sport on the 53 man roster. Carrying two fullbacks at time when many NFL teams don’t even carry one seemed like a luxury. Nix proved his worth, both on with his play on special teams and his ability to block in the back field for DeAngelo Williams, Le’Veon Bell and Ben Roethlisberger. Roosevelt Nix’s lower salary cap value for 2016 could cost fullback/tight end Will Johnson, who will soon be a free agent, his spot with the Steelers. Chris Hubbard spent 2013 on the Steelers practice squad and has been on the active roster for 9 games, 8 of which came in 2015. With such little tape Hubbard is an unknown to Steelers fans, but it is hardly a surprise the Steelers have signed him, given that Ramon Foster is about to become a free agent. Jordan Dangerfield, Matt Feiler and Xavier Grimble spent 2015 on the Steelers practice squad. B.J. Finney also spent training camp and a portion of 2015 on the Steelers practice squad while Caushaud Lyons spent time both on the Steelers active roster and practice squad. Safety Ray Vinopal is a Pitt graduate. The term Steelers futures contracts might lead to some confusion, but it is merely a designation used for players who are free to sign with any team as soon as their season ends as opposed to players who must wait for the official start of free agency.